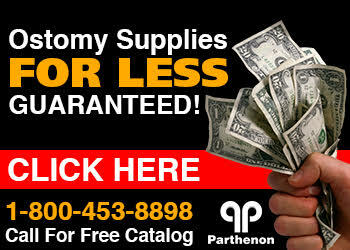 The Parthenon Company Blog - Specialists in Wound and Ostomy Supplies: How Much Is ConvaTec 22771 Ostomy Pouch? How Much Is ConvaTec 22771 Ostomy Pouch? Depending on any sale prices....It's right between $29 - $40 dollars per box. The 22771 ActiveLife transparent pouch will vary in price depending on where you buy it. You can be sure that you will always save money when you buy your ostomy supplies from Parthenon though because we guarantee the beat any advertised price by 5% if it is less than ours! That's a strong offer with no strings attached. That's been our policy for 50 years and continues to represent what sets our company apart from the others. Right now we have this pouch on sale and when you buy it in greater quantities there is even more savings! The ActiveLife drainable pouch by ConvaTec is your basic ostomy appliance that serves as a fine everyday pouch or as an emergency pouch. Assuming you don't require a convex barrier, ConvaTec's 22771 pouch is a flat, cut-to-fit wafer with a tail closure, and is transparent to view output. The skin barrier is made of the stomahesive material common to most products from the ConvaTec ostomy product line.